Google already lets Android users track their misplaced or stolen smartphones both through search and by using the standalone Android Device Manager app. Today, the company is adding yet another path to checking exactly where your precious device is on a map — and it even works with iPhones this time. Well, sort of. 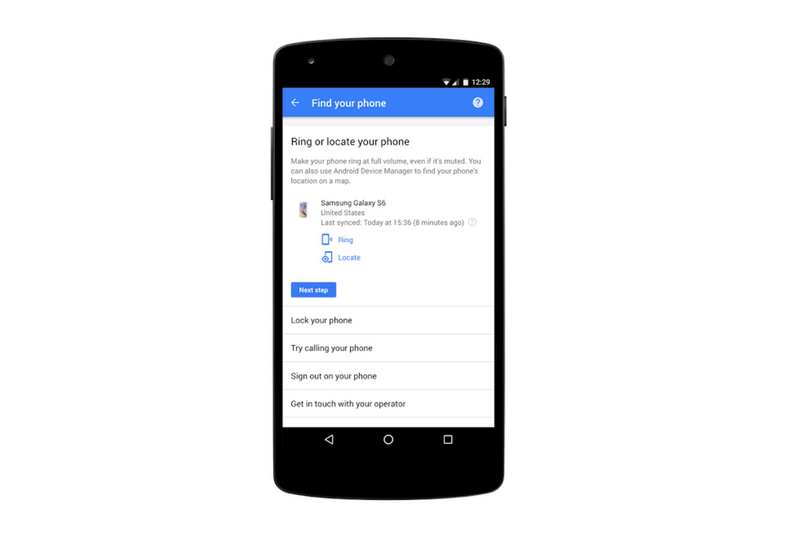 Head to Google's My Account hub and you'll now see a new "Find your phone" option. Tap that, and you'll be able to make the phone ring at maximum volume, lock it (with a message and contact number on the lock screen), or locate its precise position using the Device Manager. Now all of this stuff applies strictly to Android; if you're on iOS, My Account will point you towards iCloud and Apple's Find My iPhone tracking. That's the right way to go, since Google can't take such control of Apple's devices. But it's good to see Google making it easier and quicker to locate your handset in those panicked moments that usually accompany a missing phone. And it'll eventually get ever so slightly faster, giving you quick access to My Account whenever you Google "I lost my phone." I already see a map showing my Android phone's last position whenever I search for lost phone, so I'm not certain of the added benefit there. But other changes that make it easier to access My Account — like saying "OK Google, show me my account" or (soon) simply Googling your own name — are more noticeable. "When you entrust your data to Google, you should expect powerful security and privacy controls," Guemmy Kim, the product manager of Google's account controls, wrote in a blog post.